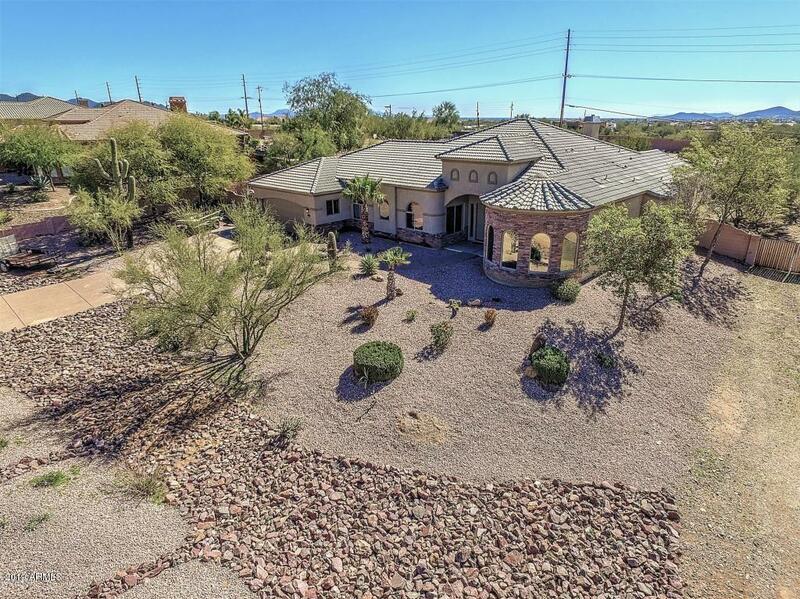 Exceptional 5 bedroom, den, 4. 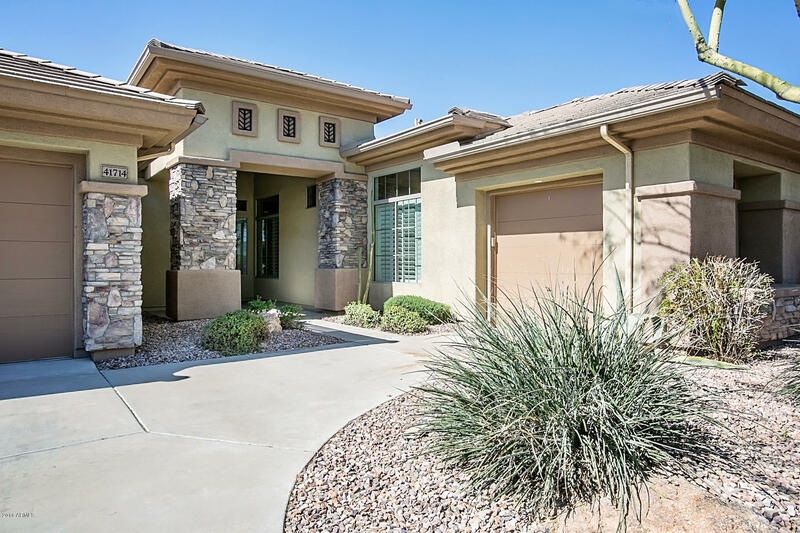 5 bath single level rochester floor plan in the gated anthem country club community! 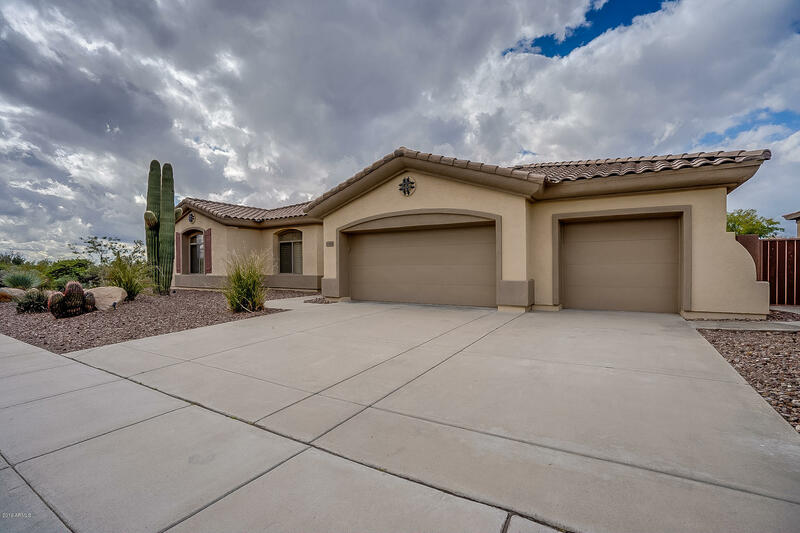 Located in a quiet cul-de-sac just down the street from the ironwood clubhouse, this home features a large gourmet kitchen with granite counters, upgraded ge appliances, including gas cooktop, furniture style upgraded cabinetry, island, a walk-in & butler's pantry. Tech center is next to the kitchen. 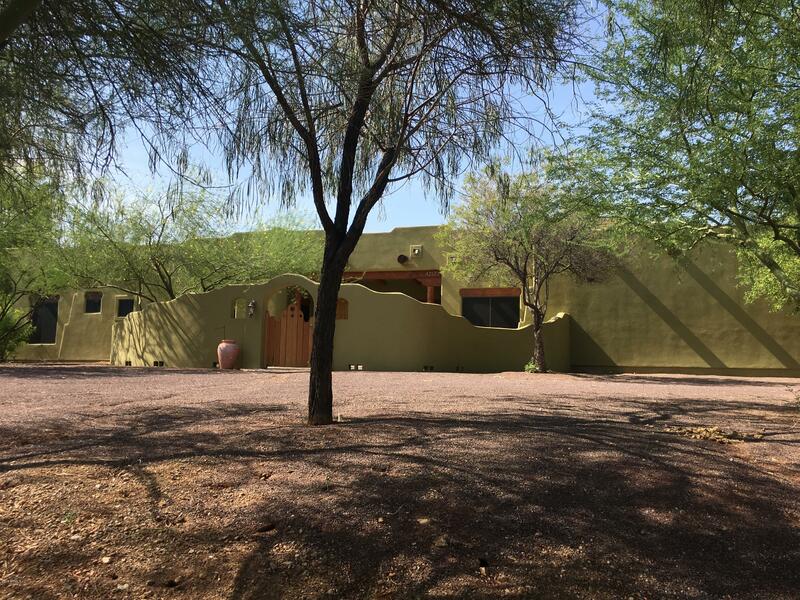 The private backyard has a heated, self-cleaning pool & spa and built-in bbq situated on wash lot w/ mountain views. Den has wood built-ins with french doors. Large master suite has sitting area, his & her walk-in closets, granite counters, dual vanities, soaking tub and walk-in shower. Plantation shutters, water softener and ro system. Fresh paint, new carpet and move-in ready! Great custom home. Split floor plan, beautiful master with huge walk in shower, formal dining, fireplace, large bedrooms. Spacious kitchen with granite, lots of storage and counter space, a chefs dream. 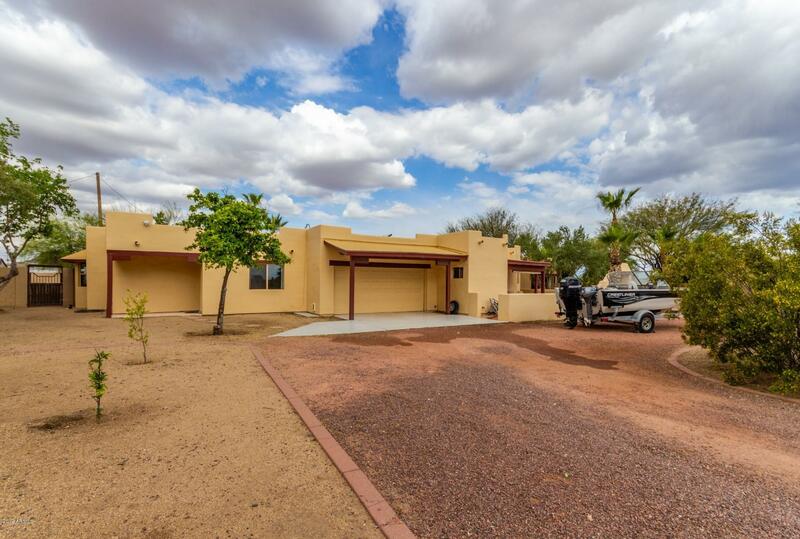 6 car pass through garage with access to back yard and rv gate. Handsome circular driveway. This home was custom built to impress, must see to fully appreciate all the details. Hard to find 2. 5 acres! Don't miss this meticulous maintained, spacious home. A four bedroom with a bath for every room! Two masters, plus separate entrance room that could be mother in law suite. Solid block construction. Large screened in porch. New roof & water heater in 2016. Ideal horse set up with 6 stall mare motel with hay storage and tack room. Great arena with room to expand. Flat level property ideal for big rigs. Full rv hookup 50amp with water and septic. 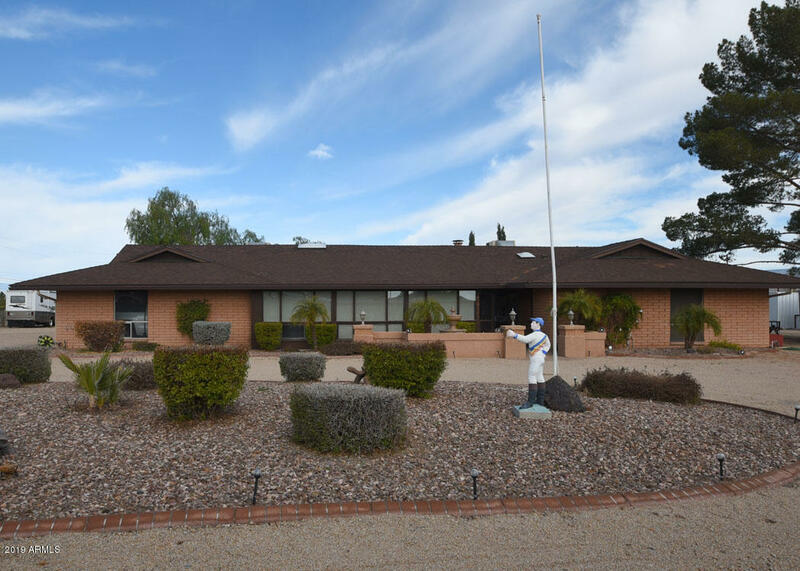 Fully fenced, garden and mature citrus trees. Private well and private end of the road location! Priced right! 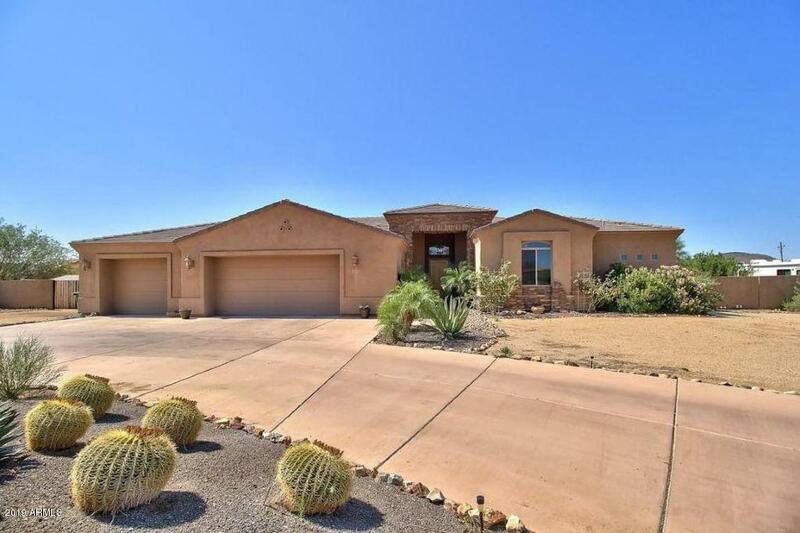 Desirable desert hills location. Authentic spanish territorial on 1. 25 acres! 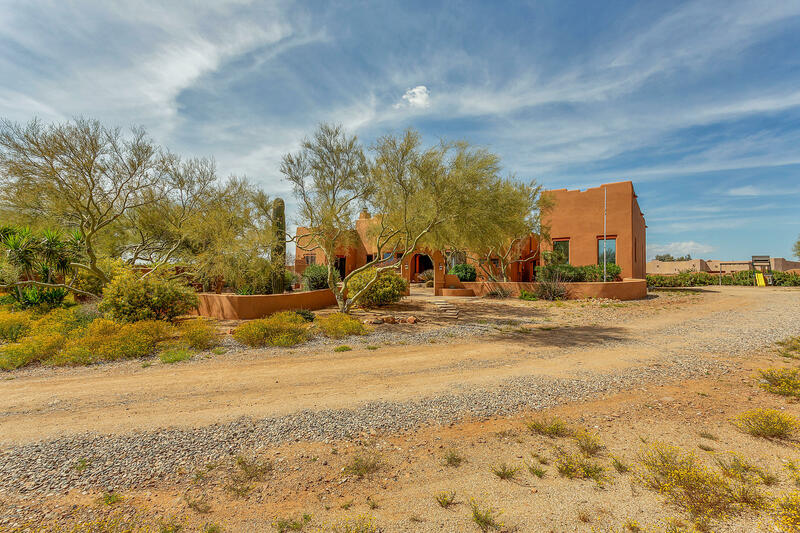 Large arched entry courtyard with fireplace leads to open concept great room with 14' ceilings, massive hand-peeled beams, imported indian slate flooring, dramatic pueblo fireplace. Fabulous negative-edge pool, swim up bar, spa with waterfall, built in bbq and misting system. Paved patios and walkways encompass over 2000 sq. Ft. Stainless steel kitchen appliances w/modern commercial look, italian tumbled marble backsplash island with deep prep sink, bar seating, granite countertops. Viga beams continue in master with indirect ceiling lighting, beehive fireplace, jetted tub and snail shower. 16'x55' rv gargage w/50 amps, ac & 2 outside rv space hook-ups. 12 ton, 2 zone ac unit w continuous air flow system. Enjoys shared well! Playhouse included.